The increasing preference of ever-larger glass surfaces in architecture over the past several years lead to the emergence of the desire to also design these surfaces accordingly. 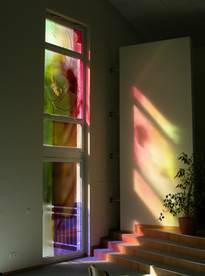 The classic hand-blown coloured panes, however, are only produced in sizes of approx. 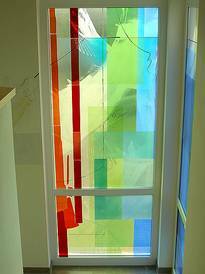 60 x 90 cm; undivided Fusing coloured panes only up to approx. 150 x 160 cm. 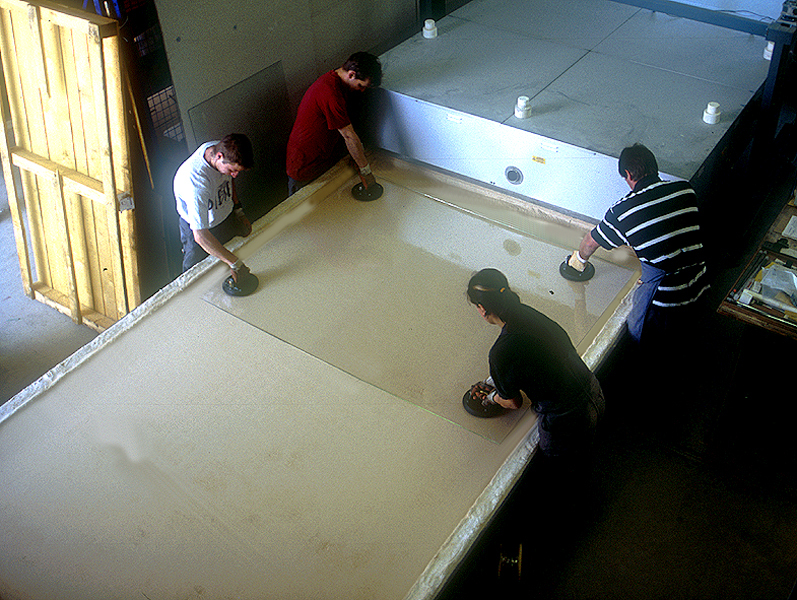 If one wished to not accept any bumps or separation lines in the design, one would have to resort to another technique. 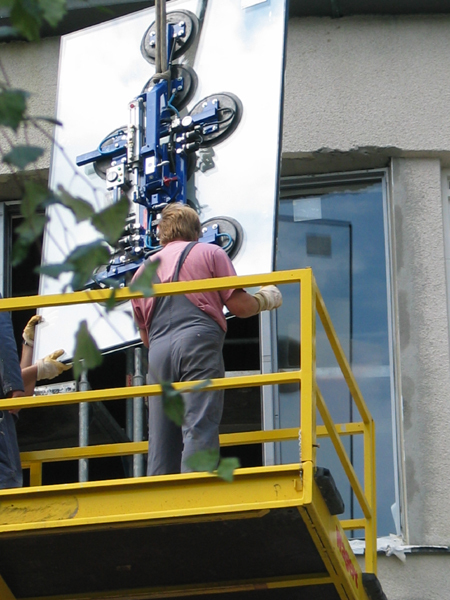 With the engineering of larger kilns for the area of glass design, artists could (also outside industrial production structures) design large glass surface and monitor the necessary interim firings for complicated and multi-layer paint-coat structures. 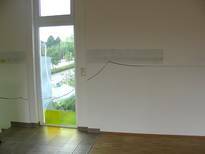 An opportunity which would not have even been possible in this form in the context of a strictly industrialised production. 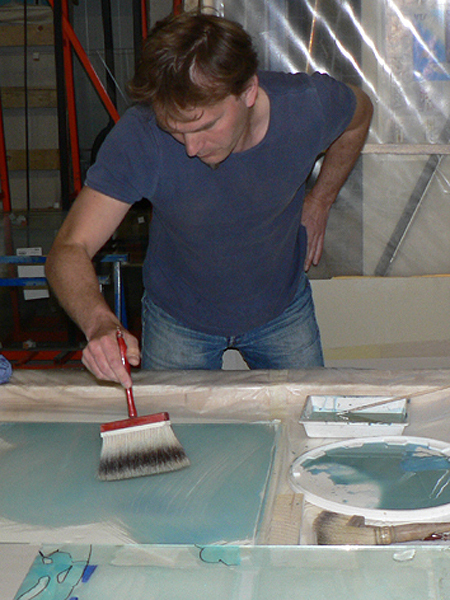 In addition to the comparably classic work with the brush or other tools which apply the paint in a comparably structured fashion, the glass paint is often also sprayed on. 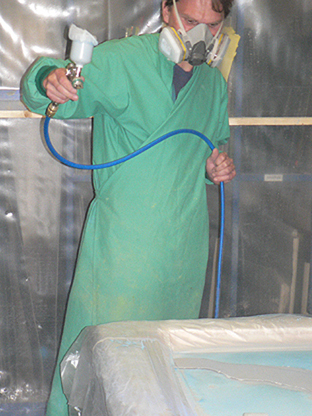 By way of this airbrush technique, one can create comparably even colours and subtle colour transitions. 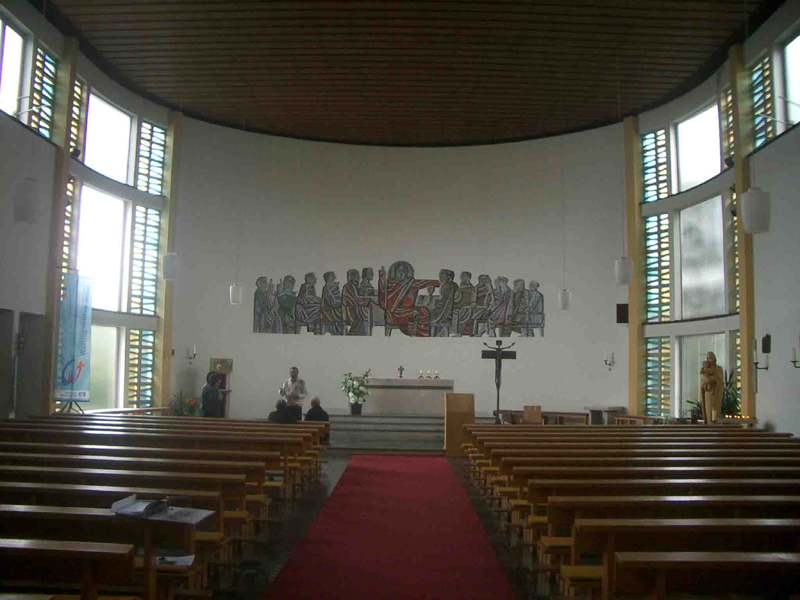 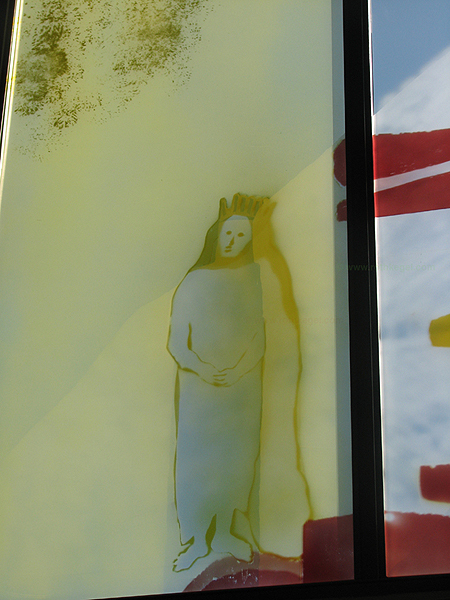 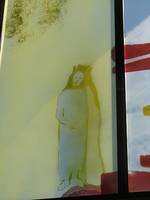 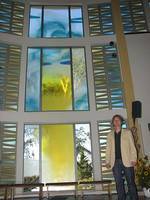 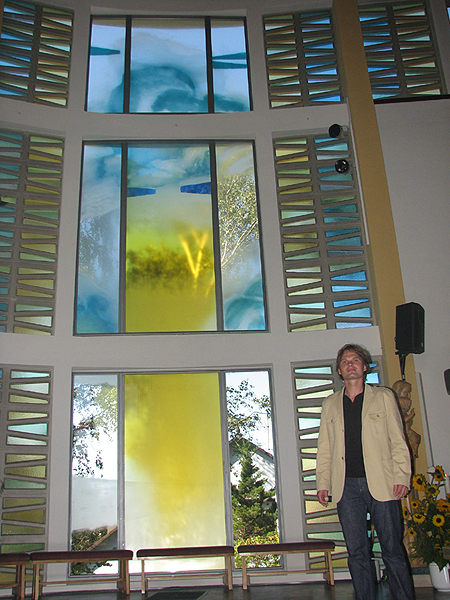 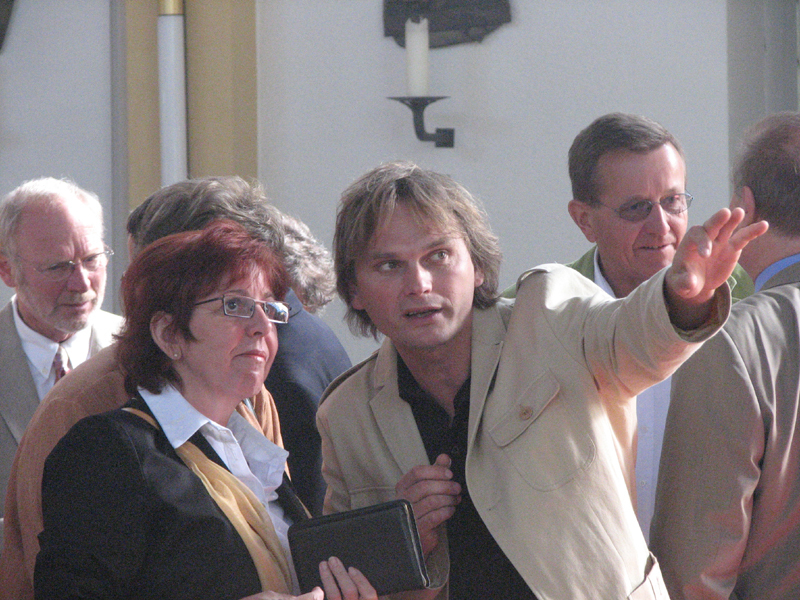 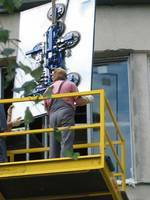 In float-glass painting with the sand-blasting technique, here, Johannes Schreiber integrated a glass design into the specified structure of the church from 1965. 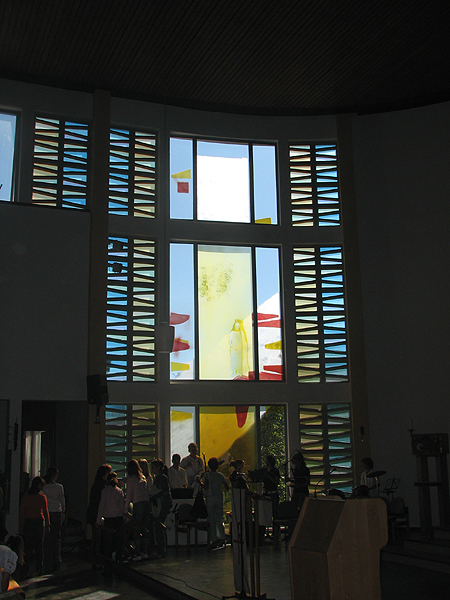 This project was comprehensively serviced by us – from aid provided by the parish in the selection of the artist to the case-by-case approval of the glass design by the highest-level Bavarian construction authority and associated attempts to obtain a permit from the State Industrial Agency – to the assembly of the panes.